The first known selfie, taken by Robert Cornelius in 1839. The usage of #selfie first appeared on Flickr in 2004, but it took almost a decade to reach the masses. Women may take selfies more than men. But men over 30 share more selfies than women over 30. The word http://cialisfrance24.com selfie in the English language has skyrocketed in use. It has increased by 17,000% since 2012. As of October 2013, Miley Cyrus is the celebrity with the most amount of posted selfies on Twitter with 121. Tyra Banks is second with 62. Makati and New York are the cities where most selfies are taken. 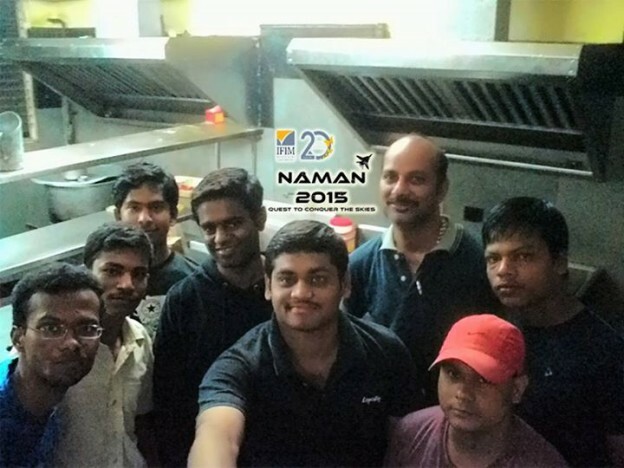 Coming to the contest it was Sandeep chalamalasetty of 2014-16 batch won the best selfie of Naman 2015 and the participant side, Sai Swaroop from CMS Business School, won the best manager selfie. Insight of the selfies really shows the commitment towards the contest especially Sandeep selfie with the Chef and the IFIM Mess workers really inspired the judges ultimately he bagged the best selfie award. Participants from best manager event were asked to take selfie when they are blind folded. Sai did an amazing job of projecting his face completely in to the frame. The winners were awarded on the prize distribution ceremony where our Director, Dr.Madhumita Chatterjee distributed the prizes to the winning contestant. The function was successfully concluded with a selfie note.